Do your little ones want to tell time? Digital clocks can be a great way to introduce time concepts to them, and we think that a good alarm clock is essential for helping teach kids about scheduling and responsibility! We had the chance to review a sample of the Big Red Rooster projection alarm clock for kids: Dinosaur. This friendly, green clock had all kinds of cool features, including alarm and timed projection light to help kids to not fear the dark! The projection light was their favorite feature. It allowed for 4 different dinosaur designs to be displayed on the ceiling. You can set it on a timer to switch off after so many minutes. You can also choose to have the time projected, too! My favorite feature was that it can operate on batteries or the included power cord. When the lights go out due to a storm, there is always a backup! We really enjoyed this clock. It's rather durable, which is good; my kids can't keep their hands off it! Find out about this clock, as well as the other designs from Big Red Rooster at their website. You can also check them out on Twitter and Facebook. Wanna Win? We are giving one lucky reader their choice of any of the Red Rooster Projection alarm clocks (dinosaur, cat, dog, or rocket ship). To be entered to win, just use the form below by September 30th at 11:59 pm EST. Open to U.S. residents 18+ only. I like the cat but they all are so cute. I think the dog is adorable but I think my son would like the rocket ship. I love the orange cat clock. My favorite is the Cat Projection Alarm Clock! The clocks are all so cute, but I'd choose either the Dinosaur or Rocket Ship. Our little guy would love them! I like the rocket ship best. My grandsons would like the Rocket Ship! My favorite is the Dog Projection Alarm Clock! Thanks for an awesome giveaway! They are so cute but I think I would go with the dinosaur. These are precious! I love the dinosaur! I like the Dog Projection Clock. Adorable! My favorite is the cat projection clock, very cute images of the cats! I like the cat alarm clock. I like the Dinosaur. My girls would probably like the cat the best though. My favorite clock is the dog. I like the dog clock the best. Would be proud to win any of them. Think Ethan Might like the dog the best. Thanks for the chance. My favorite one is the dinosaur one he is super cute. My grandson would love the dinosaur. I really like the Cat Projection Alarm Clock. Thanks. The rocket ship will thrill my grandson. I would love to win the Dinosaur for my grandson. We are all about dinosaurs in this house so I have to go with the dinosaur. i like the dog alarm clock the best! my kids love puppys so this would be perfect for their room! I like the Dinosaur best! So cute. I like the rocket ship. Thanks for the chance. I like the rocket ship and the cat. The rocket ship is my favorite, but I think my son would like the dinosaur. Like the rocket ship one. My favorite is the dinosaur! The four alarm clocks I like the best in order are the cat, puppy, dinosaur and the rocket. I like the cat! But I do also like the rest too! These are great! I love the dinosaur. I like the Rocket Ship Projection Alarm Clock. So adorable and the perfect sensory gift for a child! It's a toss up of which one I like best. The Cat one would be forever loved by my granddaughter. My favorite is the Dog Projection Alarm Clock! I really like the rocket clock! It's super cute!!! I absolutely adore the cat clock!!! Dinosaur Projection Alarm Clock is the clock I like. These have such cute designs. My favorite is the Dog Projection Alarm Clock. My goodness, what a precious idea for a children's alarm clock! Much better than typical ones. I really like the rocket and cat alarms! i would definitely choose dinosaurs. Ever since my husband bought our daughter a dinosaur when she was only 2yrs old she has loved them since and now her little brother loves them to! My favorite one is the dog. It is so cute for my kids! My favorite is the cat alarm clock. Mostly because the alarm clock would be for my son and he loooves cats.it's super cute as well. I like the rocket ship. I love the Rocket! Adorable! I like the dinosaur the best. They are all adorable, but I know my son would like the Rocket Ship the best! My favorite is the dinosaur. I love the rocket! What a fun design! My favorite is the dog! I love the rocket because at night my child we be able to see space on their ceiling. The cat for sure is my favorite. The Rocket Ship Projection Alarm Clock is my favorite. These are so neat! I love the Cat for my daughter! 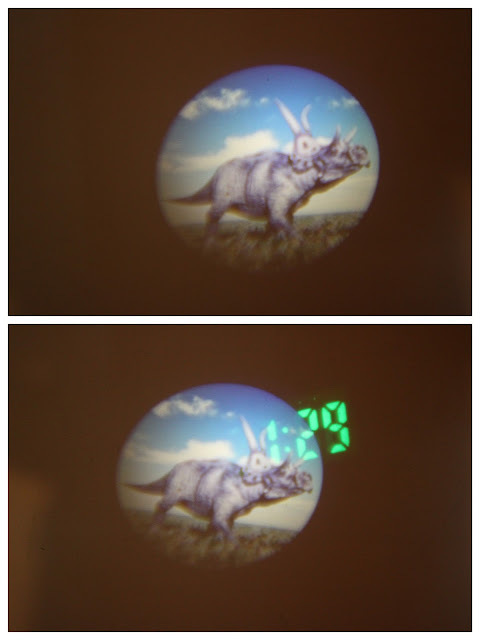 I love the Dinosaur clock. They are all cute but we love the cat.. I like the dog clock. My family would like the cat. I like the dinosaur its so cute my nephew would love it. I adore the rocket ship alarm clock! !